Now if I were to say that I had a vice, (and for those that know me they would say “come on Awat, only one? ?”), but when we are talking about food, I do have just one. When I just don’t know what I want, or I have this “craving for something”, there is usually only one thing that can fill that void. Everyone has had at some point in there life had either thin crust or regular New York style pizza, but for those of you who are looking for a pizza that is truly like a pie, we need to turn our attention to the city of Chicago!! And that’s where this beauty comes in!!!! 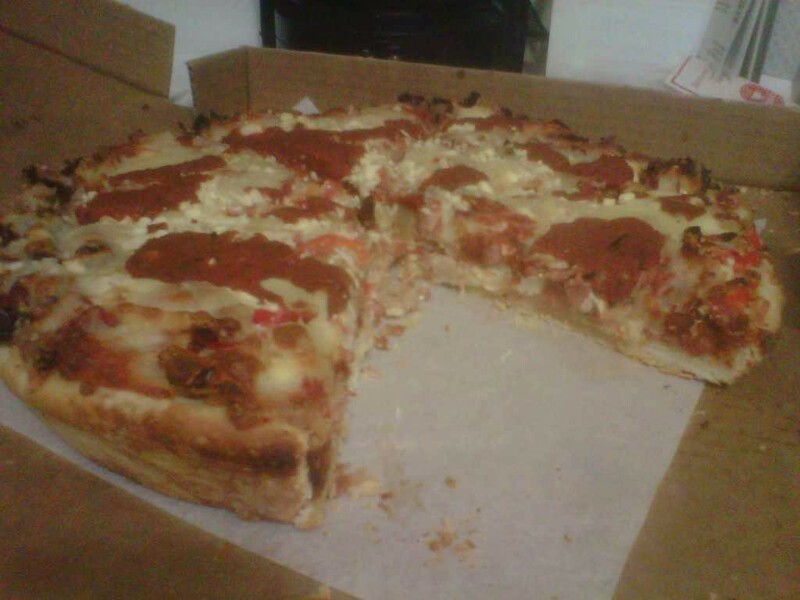 This is the regular sized, six topping, Chicago Stuffed Deep Dish Pizza from Chicago Phils, located at 70 Donald Street. just south of broadway on the west side, if you start going over the bridge you’ve gone to far. This mammoth of a pizza this fine day is covered with pepperoni, Italian sausage, bacon, feta cheese, sun-dried tomatoes, and banana peppers, and of course all the gooey mozzarella and sauce one person could want (of course you can create your own masterpiece with any of your favourite toppings), and for those of you suffering from the bottomless pit syndrome, there is also a pizza affectionately called “THE BEAST” which is the 10 topping version of this beauty. 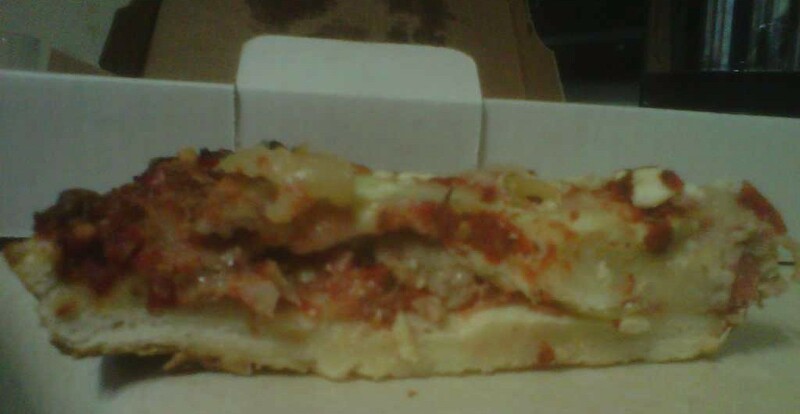 You can of course pick up a pizza in the traditional or thin crust version, but if its that craving that you are truly trying to satisfy, then this is the one you have to get.